How Do You Spot a Fake Diamond? Purchasing a diamond is often a big investment, both personally and financially, which can make finding out that you’ve bought a fake diamond all the more devastating. Unfortunately, impersonations or counterfeits are everywhere in the fashion and jewelry industry. From handbags to diamonds—replicas are sometimes so difficult to spot that only a professional can distinguish the imposter. For first-time diamond shoppers, there is one solid rule to follow: if it sounds too good to be true, then it probably is. A flawless large diamond will cost thousands, not hundreds. But sometimes the signs aren’t so obvious, and smooth salesmen could steer you into purchasing something that isn’t what you want or isn’t genuine. 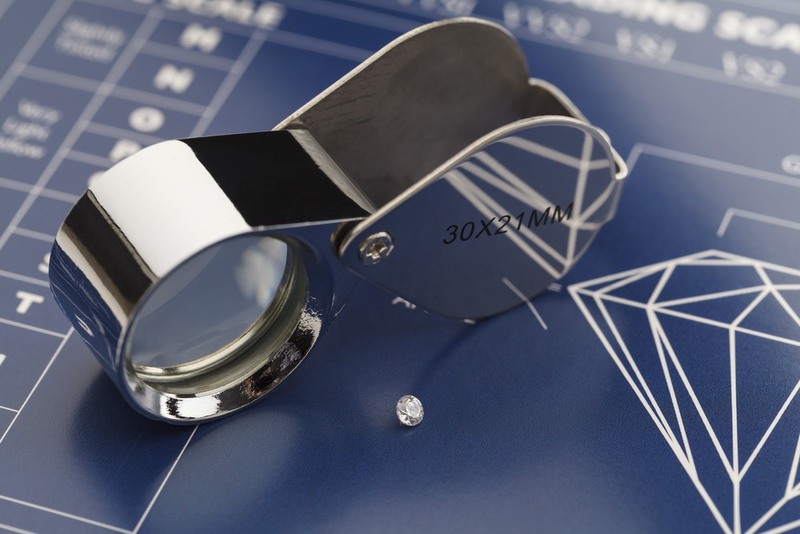 The Gemological Institute of America (or GIA) is one of the premier authorities on diamonds and diamond certification. A diamond certified by the GIA will include a diamond grading certificate that lists all the features of the stone. Be sure to request and review a copy of the certificate before making a purchase. To deter forgers, all GIA certificates issued after 2014 feature a QR code and proprietary paper blend to help confirm authentication. If these features are absent, then chances are high that the GIA certificate is not authentic. GIA and other grading laboratories also have online databases of their certifications. If the certificate number doesn’t pull up a result, then there is a good chance that the certificate is a forgery. Purchase uncertified diamonds at your own risk. Without certification, buyers really cannot be guaranteed of the authenticity of their purchase. For this reason, insist on a certified diamond. If you’re buying vintage jewelry, or an older diamond without a GIA certificate, there are still a few clever tricks to help you spot a fake diamond. 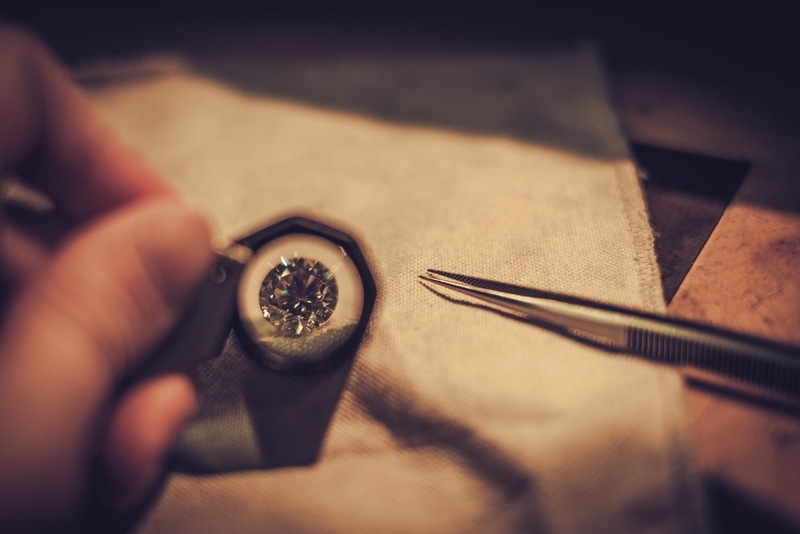 A loupe is a small eyeglass that jewelers use to inspect the qualities of a stone under high magnification. In fact, people in the diamond business often say that absolutely perfect diamonds are so beautiful that they look fake. 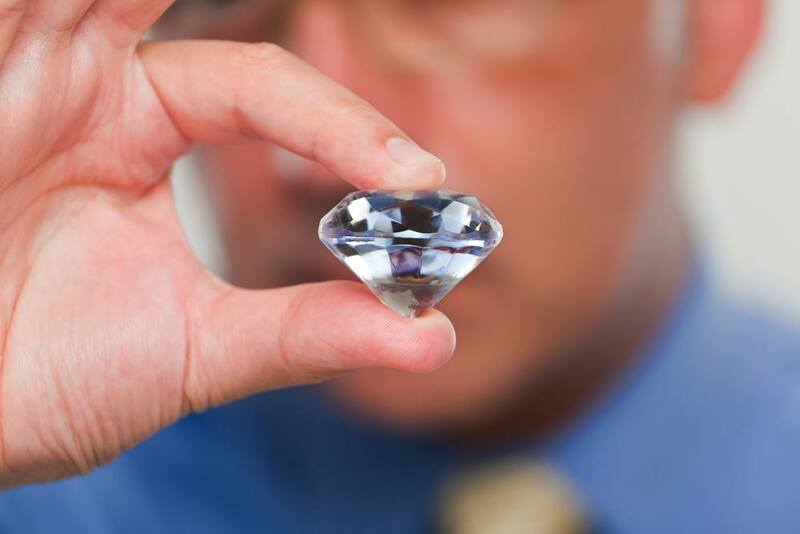 A stone that appears perfect, especially one with a bargain price, is likely a diamond imposter. Even lab grown diamonds tend to be imperfect in one way or another. Diamond fluorescence is the soft glow that occurs when a diamond is exposed to UV light. Diamonds may exhibit different types and colors of fluorescence—the most common is blue, but other colors include yellow, orange, green, and pink. Outdated practice suggests that fluorescence in a diamond makes the stone milky or cloudy, so many dubious jewelers use this as a means to pass off fake stones as better. But not only is the milky association a misconception, but it can actually prove that the stone you are buying is real. You can check for fluorescence in a potential diamond purchase by checking it under a blacklight. A fake diamond will not irradiate under a blacklight. However, don’t use this as your final test! Two-thirds of genuine diamonds don’t exhibit fluorescence, either. If a stone doesn’t glow, try another identifying technique to ensure authenticity. Alternatively, you can look specifically for diamonds that have fluorescence to make sure the stone is a real diamond. A simple piece of sandpaper may tell a buyer immediately if a stone is an imposter. The particular carbon crystal composition of diamond is the hardest mineral in the world, so a piece of sandpaper should have no ill effect. Rub sandpaper lightly against the stone. If the stone scratches, then you will know that the diamond is a fake. Diamonds are extremely efficient heat conductors. Fog created by a warm breath will disappear from the surface almost instantly, while a diamond replica—which doesn’t conduct heat—will take longer to clear the warm layer of moisture. Weight. Diamonds have a higher density than Moissanite. Brilliance. Moissanite has a “double refraction” property which will give it more sparkle. Look through the top or side of the diamond. If the facets on the opposite side of the stone appear doubled, it’s Moissanite. Fire. Moissanite stones exhibit a greater dispersion light into spectral colors, causing bigger and more colorful flashes of light than you would observe in a diamond. Faceting. Diamonds and Moissanites are not cut using the same faceting patterns, so the same shape stones will actually look a little different because of the different facets. While beauty is in the eye of the beholder and some people seek out diamond alternatives, no buyer wants to purchase a replica that claims to be authentic. Low prices on seemingly perfect stones might seem too good to resist, but in reality, the diamond itself may be too good to be true. Don’t be duped into purchasing a diamond imposter! Get educated on the unique qualities of a diamond to ensure that your final gem purchase radiates with genuine and bona fide Brilliance.